On August 18, 2017 "Latvijas pārtikas kompetences centrs", SIA (Latvian Center for Food Expertise, Ltd.) signed an agreement with "Balticovo" AS with the scope of implementing project No. 28 "Assessing and laying the technical foundation for a system to monitor laying hens, forecast the productivity of egg production and discover changes early " within the time period between August 21, 2017 and December 31, 2017. The project is being implemented in cooperation with "ABC software" SIA and WeAreDots, SIA (previously, SQUALIO cloud consulting). Laying hens are directly connected to the company’s productivity and profitability. Alongside the cost of food, the cost of maintaining laying hens is the biggest cost in the egg production process. The ability to timely forecast any potential deviations in the total volume of egg production and the factors that affect it can prevent the causes of these negative changes before they happen (with, for example, the appropriate assistance of a vet). The goal of the project is to create the technological foundation for a demonstration frame to use in monitoring laying hens, forecasting the productivity of egg production and discovering anomalies early. 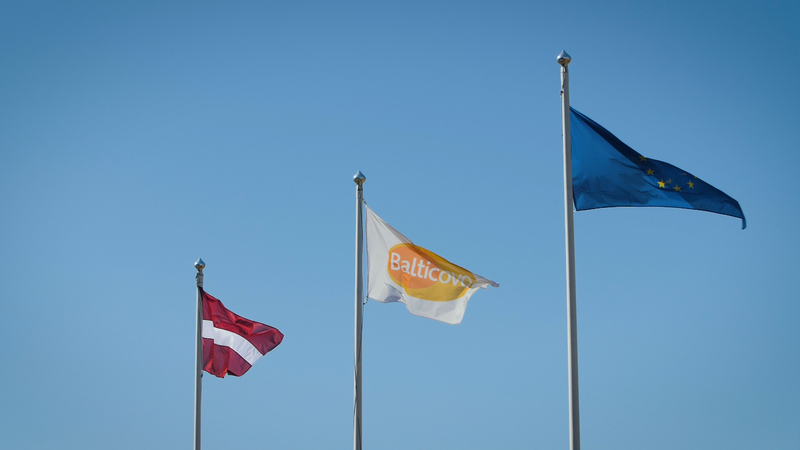 It is done by determining the most common affecting factors, the possibilities to automate the measuring process of said factors, suggested methods of pretreatment and technological solutions, using the existing production processes and data of "Balticovo" AS as an example. The experimental method and technological solutions created during the project correspond with technology readiness level TRL5 and are meant to be used in further research in order to create the final solution. The research is being carried out within the scope of project No. 1.2.1.1/16/A/004 of the Latvian Center for Food Expertise. new products for a wider part of the market. new, innovative products with higher added value by using the existing market, technology and other factors to their maximum. The goal of this project of the Center for Expertise is to support at least 14 studies that fit the defined directions of research, by developing new products and technologies in the industry and implementing them in production, thus encouraging the cooperation between researchers and producers, as well as increasing the competitiveness of the industry’s merchants. The project is being implemented from September 1, 2016 until December 31, 2018. The total amount of ERDF support for the project constitutes 3 206 250 EUR.